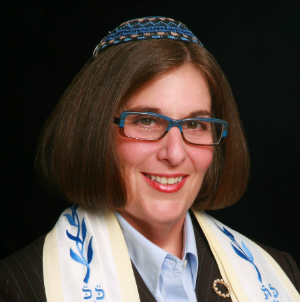 An openly lesbian rabbi has been appointed as the head of the US Reform Jewish group. Renowned rabbi Denise L Eger was this week elected to lead the Central Conference of American Rabbis, which is the largest rabbinical organization in the world. The rabbi – who worked extensively on HIV and AIDS – told Associated Press of her appointment: “It really shows an arc of LGBT civil rights… I smile a lot — with a smile of incredulousness. Rabbi Hara E Person, publisher and director of the CCAR Press told Philly.com: “On a basic level, she is the first openly gay president, and that’s a big deal historically. Rabbi Eger continued: “It is an amazing arc of history and speaks to the way Reform Judaism has encouraged the discernment and education that has made it possible to make the movement more inclusive. Though it is the first time a lesbian has been appointed president within Reform Judaism, Rabbi Toba Spitzer was previously national president of the Reconstructionist Rabbinical Association.